Hi there! I just started crafting again, after my vacation. 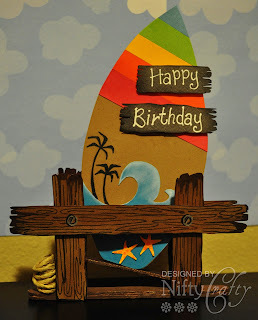 So, here is my recent creation on the beach theme. 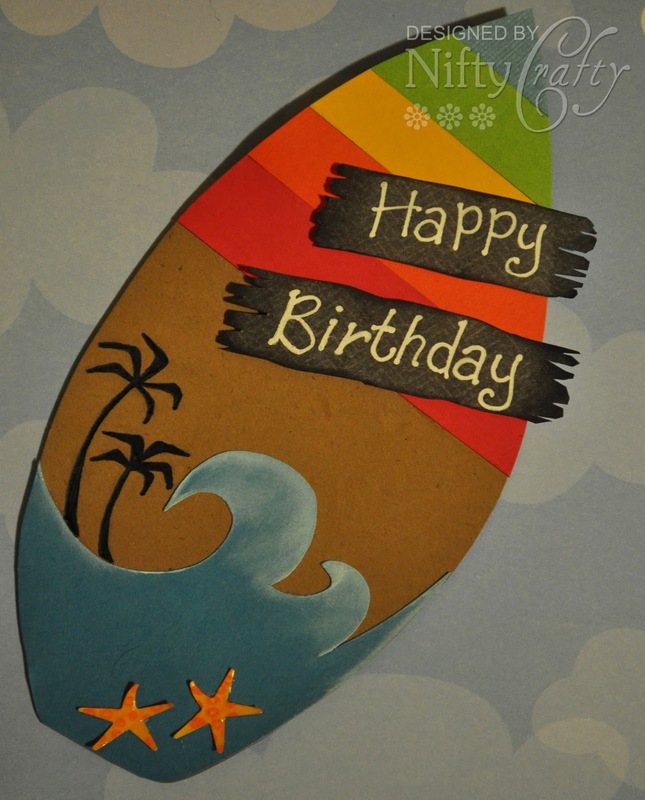 A colorful single layer surf board birthday card displayed in a beach wood stand. 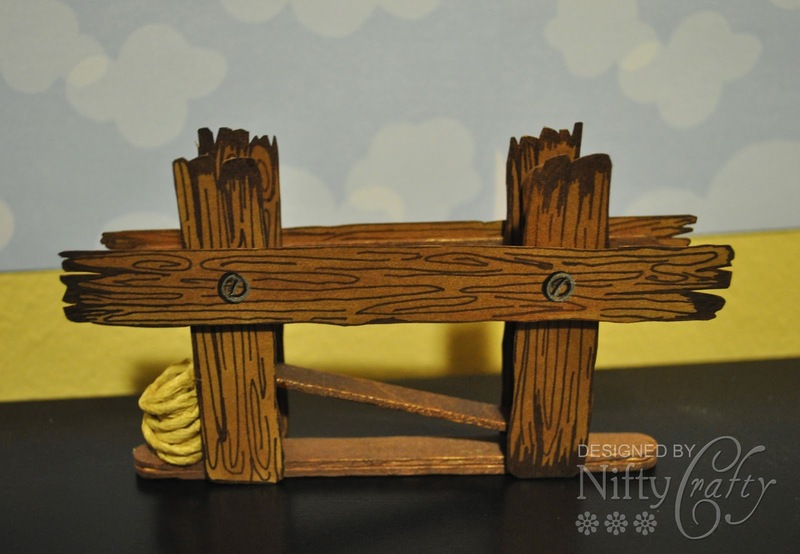 The wooden stand was made of ice cream sticks (which I bought, honestly!) 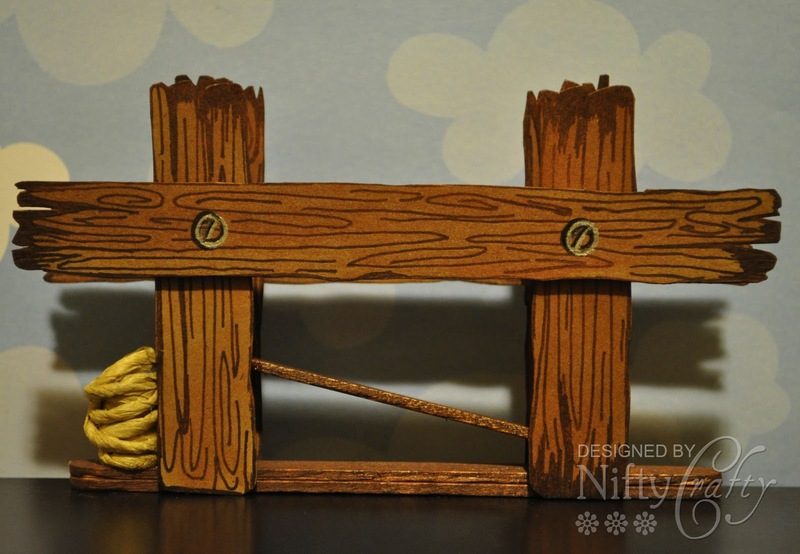 The sticks were inked with brown color to match the wood color and allowed to dry. First, I roughly sketched the veins on a kraft card using black ink pen and then cut the card into wood shape with edges. This was then glued on to every ice cream stick and allowed to dry overnight. Next, I glued the sticks vertically, side by side on the base stick with half inch of gap. The horizontal stick was then glued across the two sides of the stand. 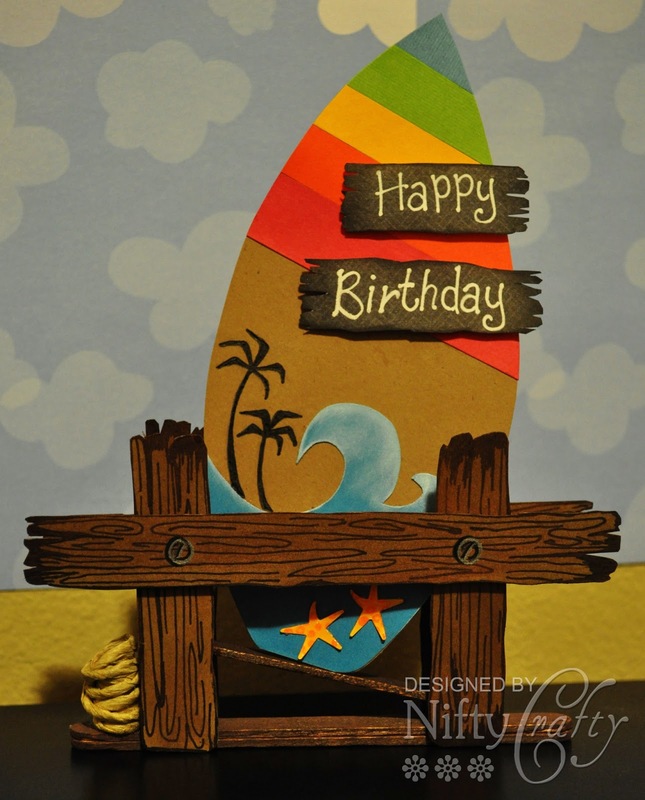 I focused mainly on creating a sturdy wood stand which provides balance and able to hold the card. 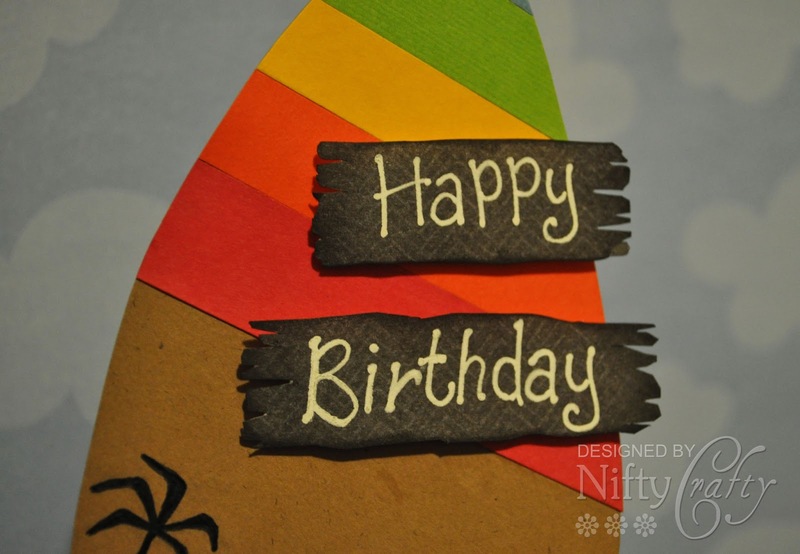 The sentiment was hand written on a black pattern paper which later was cut into two wood shapes. 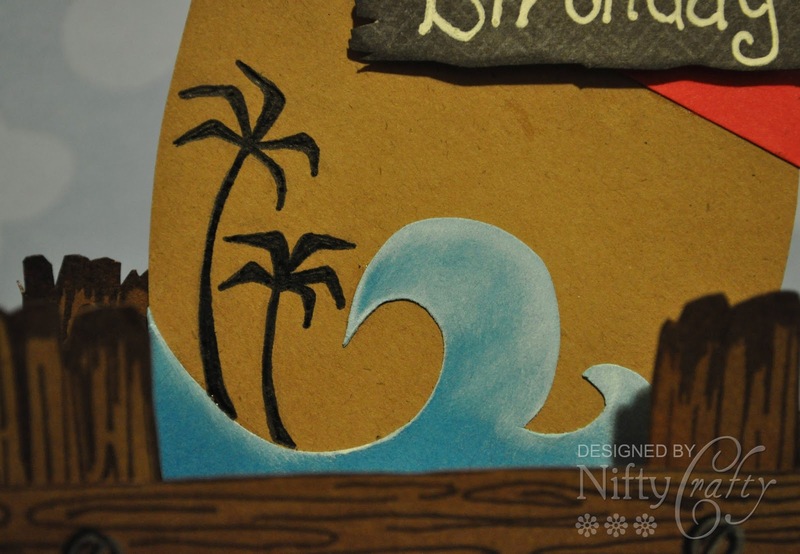 Next, I drew the coconut trees above the waves using black ink pen. 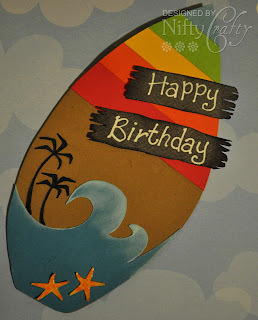 I put two starfishes on the waves and finished off the card. I used glossy accent to make them look real. So, that's all for the card! 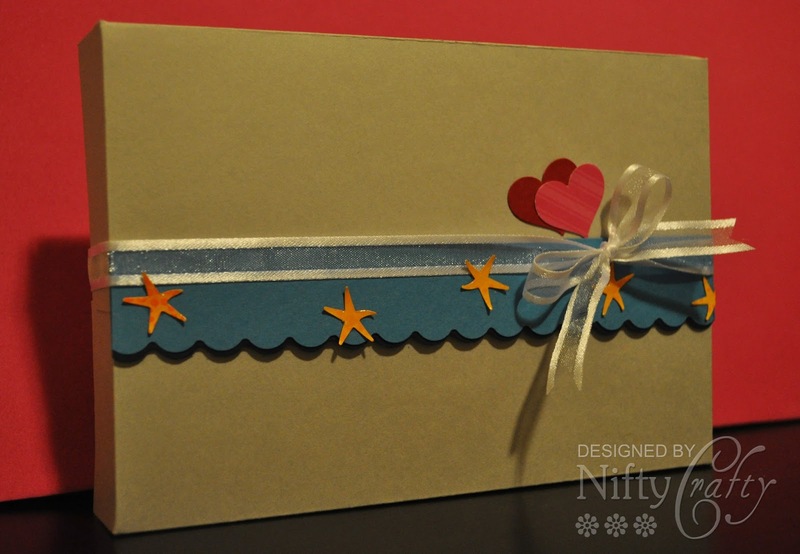 Also, I have made a box (6.5" x 4.5" x 1") to place the card and wood stand. 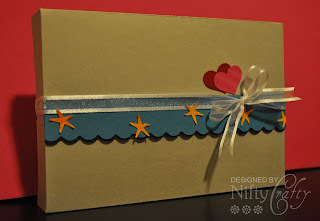 Very beautiful card valli. Very creative! !